I’ve been keeping some sort of journal for as long as I can remember. Right now I keep nature journals and sketchbook journals. My sketchbook journal is a place where I can play fearlessly. 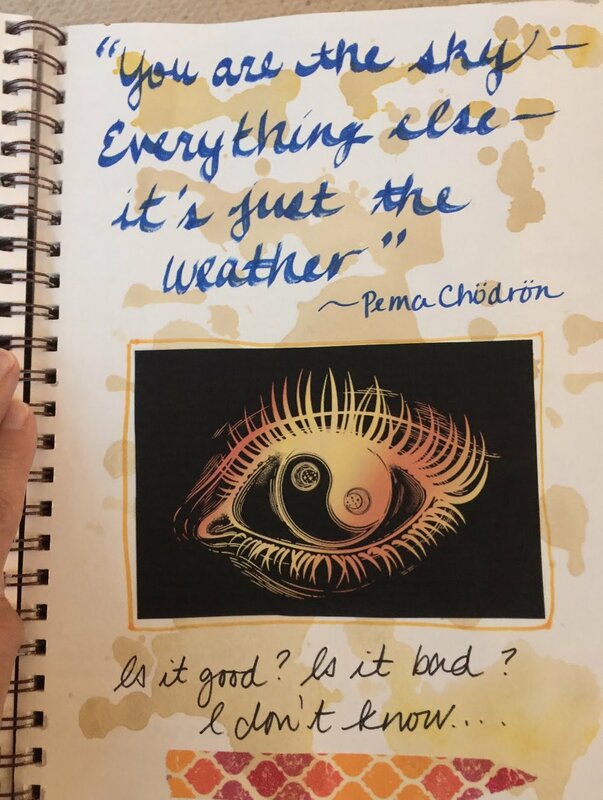 I collect quotes and sayings; I cut out images I find inspirational and glue them within; I take notes, make lists and try out new techniques. It’s a safe place to capture new ideas and expand on them. It goes everywhere with me, along with my zipper bag full of Sharpie markers. One of the best things I’ve discovered about keeping sketchbook journals is that they contain a wealth of inspiration and ideas. Whenever I am feeling “stuck”, I pull out my old journals and become re-inspired. I really like the Canson brand XL Mixed Media sketchbook because it is spiral bound and will lay flat. It has a hard cardboard cover that you can paint over and make it “your own”. I also prefer mixed media or watercolor paper because they will hold up to my markers and paints. 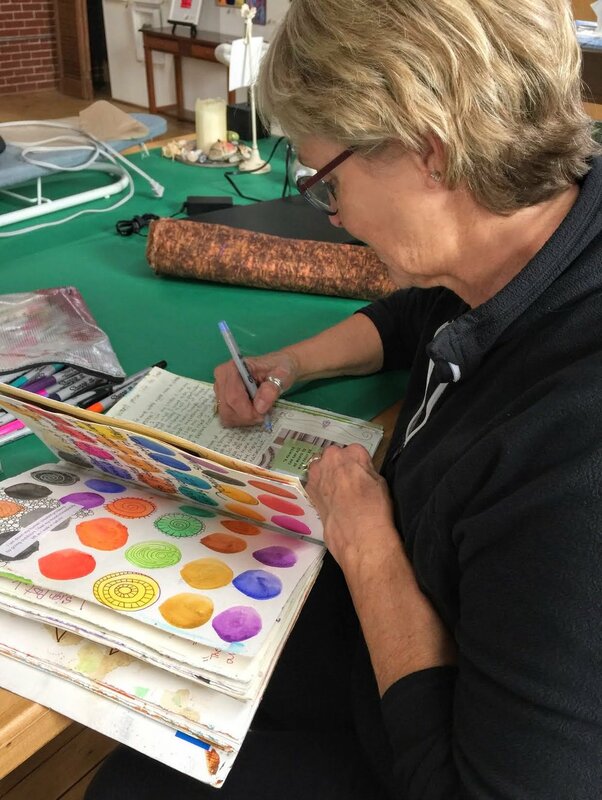 Lately, I have been making my own journals using recycled cereal boxes and water color paper. 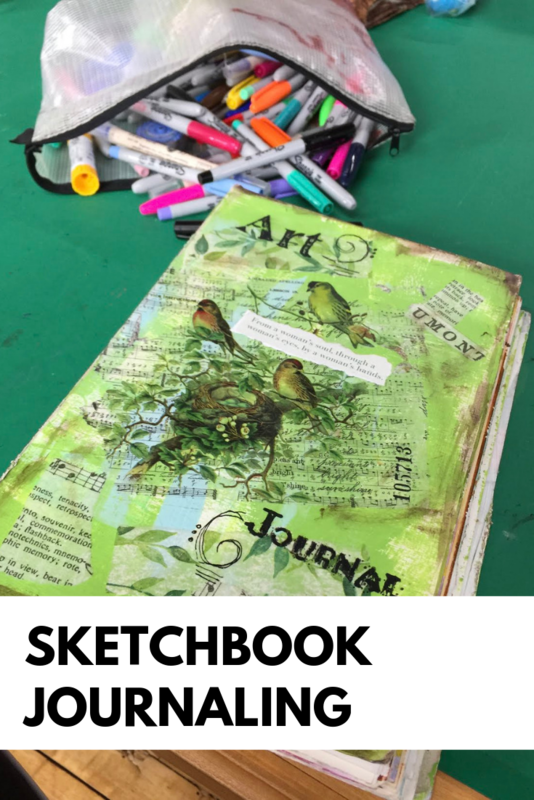 Think about your sketchbook as a dream incubator…a place where you can be as crazy and creative as you want to be or it can be a quiet contemplative retreat. Either way, I think you will find you won’t want to be without one! Watch for an upcoming class on this very topic.